There have been some major changes in independent art fairs in London in 2019. The Draw Art Fair London will be held at the Saatchi Art Gallery in Chelsea, in May. Both NEW Art Fairs suggest a rethinking of the approach to dealing art and making sales. 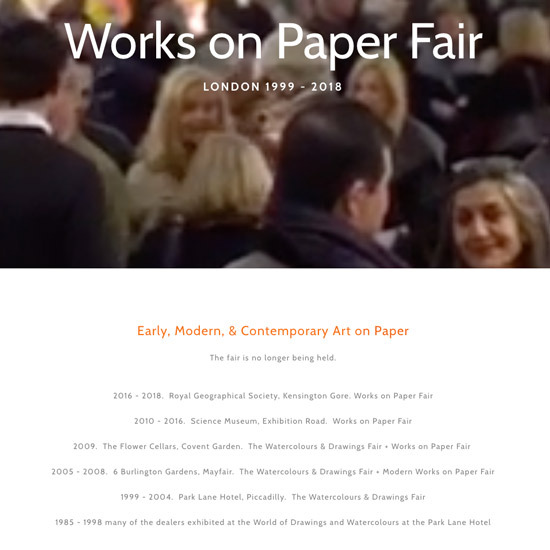 Sadly the Works on Paper Art Fair which I used to go to every February - and recommended is sadly no more. This is a NEW art fair at the Mall Galleries organised by an art dealer led co-operative - and it opens on Tuesday 29th January. 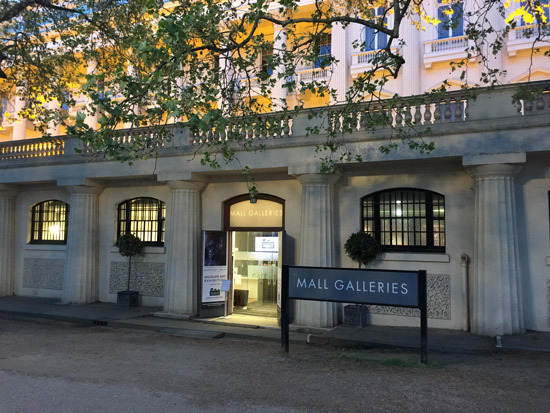 I've been saying for ages - to anybody who will listen to me - that the Mall Galleries provides an excellent venue for anybody wanting to host a small niche art fair in London - and such activities seem a very appropriate related income stream for the FBA Trust and the Galleries. Seems like somebody else has had the same idea as me! Apparently it's being run by a co-operative of art dealers (i.e. typically people without B&M galleries) who aim to cut out the event organiser as a cost of the fair. An opportunity to view and purchase from the genuine #notonthehighstreet#galleries offering outstanding quality art at affordable prices. Very oddly, the website does NOT actually says what it's about its USP (i.e what makes it different) and why it's worth visiting! Maybe they've been focused on using press releases and social media - which is where the above comes from. My take on it is that this reflects inexperience. The company that runs it is very new, was only incorporated last year and is months old (see details). I think it lacks social media marketing savvy. I'm almost inclined to send a note to my art business website page which stipulates what traders need on a website page when marketing online! 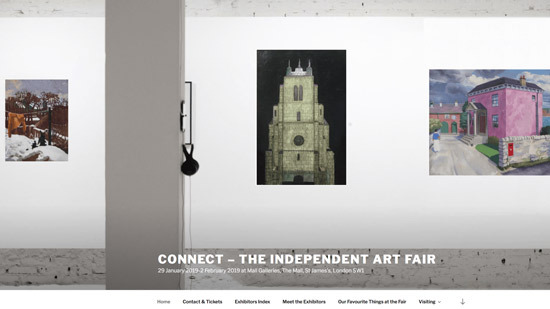 Welcome to the inaugural staging of Connect - The Independent Art Fair. Our friendly dealers and well-known gallerists are bringing together a wide range of early, modern and contemporary work from London and well beyond, and will showcase a dazzling array of schools and styles, media and type. The accent will be on quality and accessibility; organised by a new co-operative of dealers, this Fair will ensure that there is every opportunity for the average collector to indulge their collecting whims, with something to suit most pockets. the independent event cuts out the ‘middleman’ of an external organiser – aiming at competitive prices for exhibitors and their buyers in turn – and focuses on works ranging in price from the low hundreds to five figures at the top end. I'll be going. Probably not on Tuesday as I hate crowded events where you can't see the artwork. Probably on Wednesday - and I'll let you know what it's like. You can find details of the fair and its various webs and social media accounts below. This NEW art fair for modern and contemporary drawing will be held at the Saatchi Gallery in May 2019. This is what is about according to the website. It sounds as if it offers a comprehensive approach to drawing and at the same time is VERY BIG! Draw Art Fair London will be the first fair in the UK dedicated to modern and contemporary drawing. It aims to present all facets of drawing as a fundamental practice and to create a platform where rare works by modern masters and recent works from the 21st century will stand side by side. It will provide an unrivalled opportunity for visitors to discover the new, and to rediscover established artists. 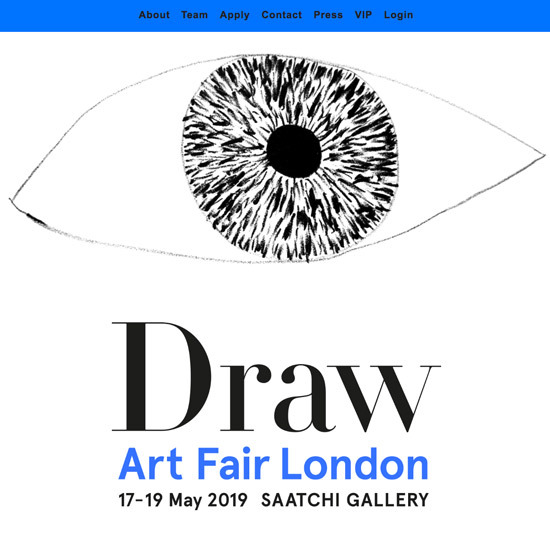 Draw Art Fair London will be launched in London from 15–19 May 2019 (opening to the public from 17–19 May). It will take place over three floors at the Saatchi Gallery. Draw Art Fair London will include up to sixty galleries and exhibitors, who will be invited to curate individual exhibitions of artists’ drawings, or groups of drawings, in a museum-style context. "The opportunity to exhibit 70% drawing and 30% related works means gallerists will be showing the importance of drawing within an artist’s total range of production: sculpture, painting, video, digital art, even performance. As far as I know, there is no other fair that does this." Sounds interesting - although I don't know a lot more than that - and I also plan to visit and review. 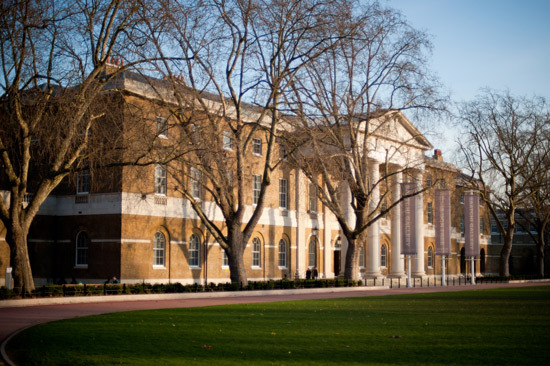 Venue for the Draw Art fair is the Saatchi Gallery off the Kings Road in Chelsea. Below is how it was announced on the website and Facebook.